The Scotia Inn, originally the Mowatoc Hotel, was built in 1923. The size and positioning of the building exemplifies its significance as part of the entry experience or gateway to Scotia. This inn was the only hub of activity in the area for years and became a stagecoach stop between the Bay Area and Eureka. 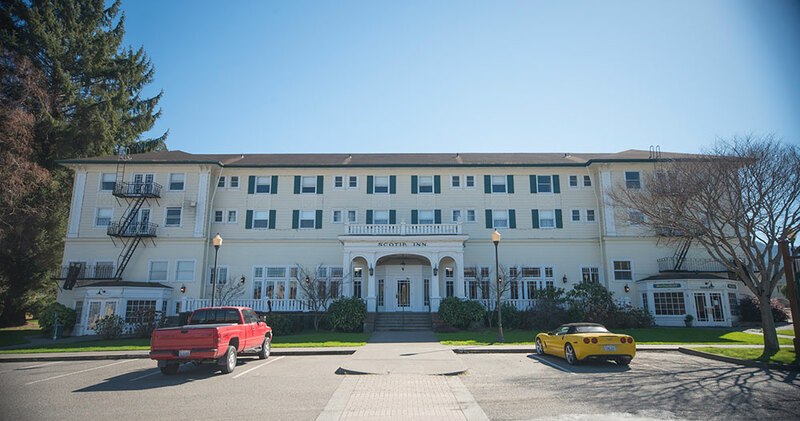 Whether you are dining in Gallagher’s Irish Pub, enjoying the festivities of a wedding or banquet, or staying the night in one of its charming rooms, the Scotia Inn plans to make your visit as memorable as the breathtaking Redwoods on the Avenue of the Giants.